﻿ Goal posts construction drawings how to make goals from scaffold tubes. 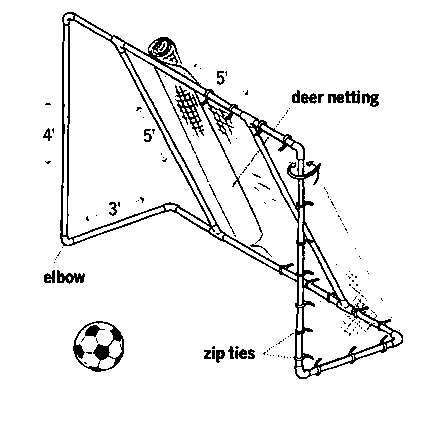 Construct cheap transportable goals for many sports. Drawings for strong scaffolding tubes and pipe clamps to make goal poles for soccer and hockey. Goal posts construction drawings how to make goals from scaffold tubes. Free furniture plans » How to make furniture with a tube frame from scaffold pipes. » How to make a goal for soccer or hockey. 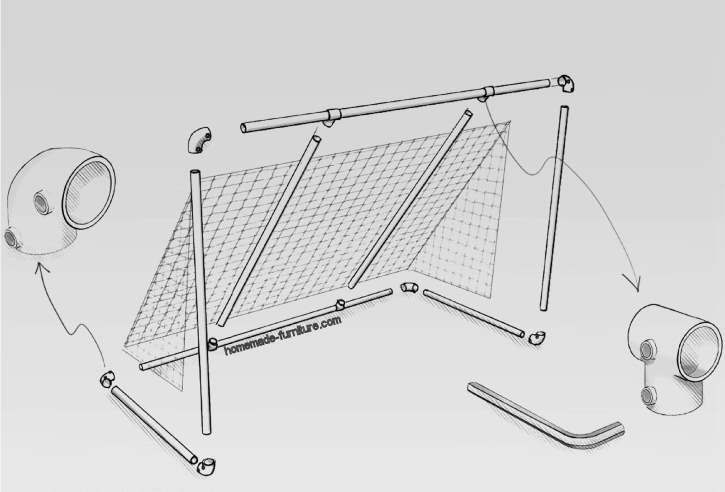 Construction drawing for hockey or soccer goals. Just one warning >> These homemade soccer goals are rather heavy. 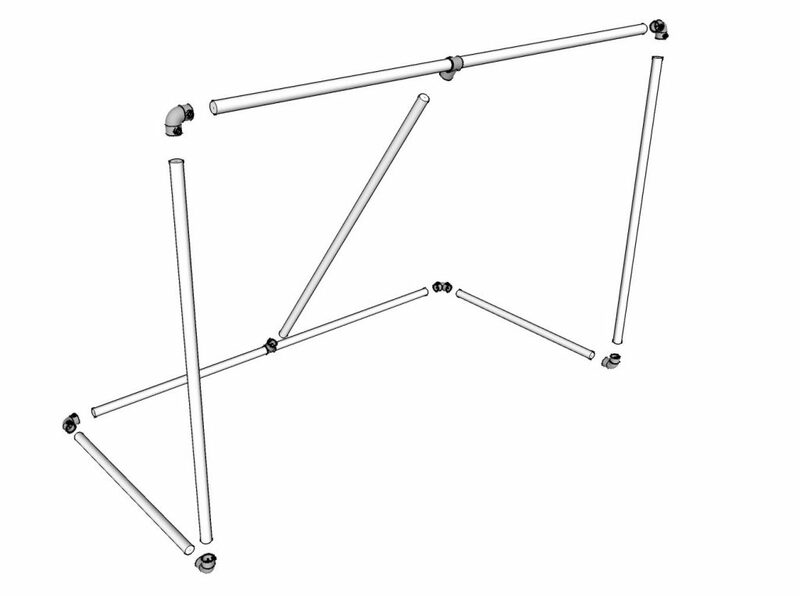 Make sure that the frame is strongly fixed to the ground. You have to be sure that the frame can not harm anyone by falling over. Therefore we advise that you drive at least four poles deep in the ground. Then attach the homemade soccer goal firmly to these anchorages. 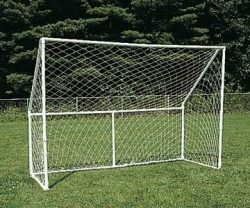 Make a steel frame for the goal with scaffolding tubes and tube clamps. Larger goals need extra pipes at the back. Make the frame stronger and prevent a sagging net. Use two or even three pipes at the back instead of just one. One or tubes and clamps more do not cost a lot extra, and it will greatly enhance the stability. Attach the net with tie rips. 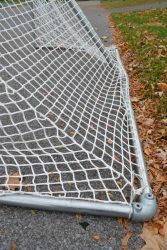 DIY goal post for soccer or hockey. 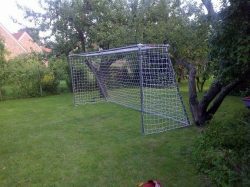 DIY soccer goal post made from old scaffold pipes and steel tube connections. DIY furniture made from scaffolding pipes and tube clamps.